Nationally, are home prices declining? No, the rate of increase has declined, in some areas more than others. And the slowing, units sold, is significant with new home sales off 22% and resales off 10% in September. Why the slowdown? Everyone is familiar with rising mortgage rates, they've been steadily rising since 2013, adding a full percentage point in the last 12 months. The other big reason? Home prices have been rising, broadly speaking, since 2013, and at a certain point, buying a home is just less affordable. Redfin chief economist Daryl Fairweather (real name!) “Buyers can only stomach so many price increases until it gets unsustainable...” Home “Prices reached a breaking point where buyers were fed up and started to consider other options.” The last 5 years have seen income gains, in some areas as high as 20%, but when matched with 45% increase in the price of housing over the same period, we get a slow down. 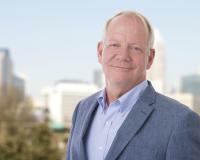 In Charlotte, October was the 6th consecutive month of declining units sold, October was 400 unit less or 9.8% over October 2017. In Dilworth, Inventory is Down 33% over last year, and it had an affect on closings too... 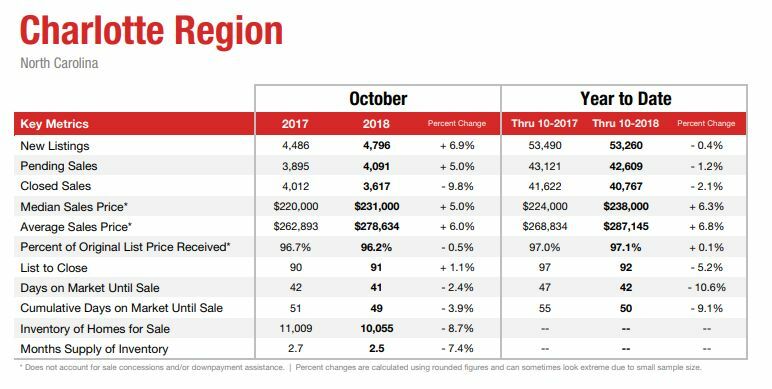 Closings are less than half in October 2018, vs October 2017.The Median price per sf was virtually unchanged, in 2017, 297.22/sf, and in 2018 $298.01. The October price per sf represents a 7% drop in June's median price per sf of $321/sf. Out in Ballantyne, zip code 28277, there is a different story. There, inventory is way up, 33% over last year. How about sales and home prices? Closings are down about 12% and the price per sf is unchanged year over year in October.October's median price per sf of $142/sf is 4.6% off June's median price per sf $149. Whats it all mean? The best time to sell a home is coming in a couple months... The Best Time To Buy a home is right now... prices won't be lower!